I didn’t know who she was. I knew her name of course, and had been told that she was an anchor for the Today Show, but I really didn’t know much more about her than that. So when she came to our farm to visit and do a story about the schoolhouse and the release of my children’s book last month, I was surprised to learn that though she had grown up as the daughter of the President of the United States, she was incredibly normal and funny and kind and real and sincere and above all, clearly a mama. We had coffee and visited for a long time together on the back porch and she showed me pictures of her daughters and asked lots of questions about mine. Then when her team was ready, we sat down and did an interview in the back yard. Then I showed her all around the farm and we walked together over to the schoolhouse so she could meet Indiana and the other kiddos that she goes to school with. The schoolhouse had just opened two days before, so the kids and teachers were all just getting to know each other and settling into the brand new tables and chairs and classroom. Jenna was so good with all the little ones. Some of them climbed on to her lap while I read the new book I’d written to the kids for the first time. It was so sweet and so much fun. Later, we all went outside and checked for eggs in the school’s henhouse and Jenna played with the kids in the playground. I always feel strange doing interviews and so I don’t do many of them. But this one was really nice to be a part of. My favorite part of it was sitting around the table on our back porch, eating cinnamon rolls from Marcy Jo’s and visiting about life with Jenna all the other folks who’ve worked so hard to bring the kids book to life. It felt like we had done more than just tape an interview, we had made a wonderful new friend. My children’s book THE COW SAID NEIGH! is in stores pretty much everywhere if you’d like to get a copy. And the schoolhouse is up and running and it’s going so well. I’ll share more about it soon. If you’d like to follow the kids and teachers, they share pictures almost everyday HERE. Lastly, some of the interview and story that the Today Show did is below. 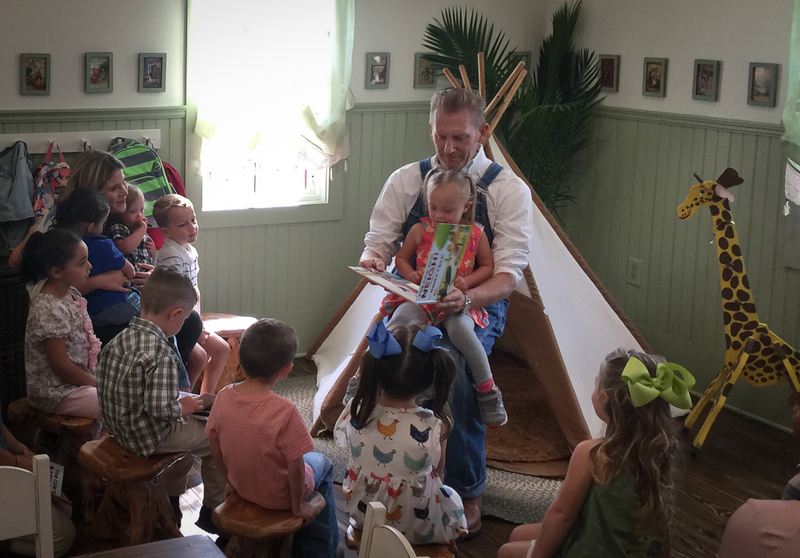 Thanks to Jenna and her team for coming to see us and for letting me share the schoolhouse and the children’s book with them and all the folks who watch their show. Newer Postthe cow said neigh!